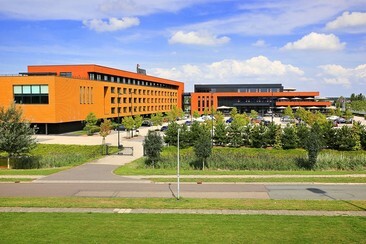 Hotel Finn is centrally located in Almere. It is a five-minute walk from Almere station and Amsterdam is 20 minutes away by train. The shopping center, the theatre and the casino are just a short walk away. 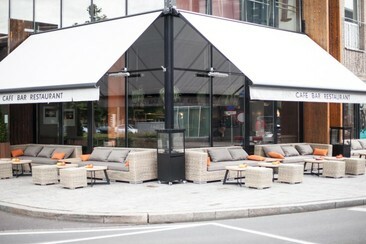 Several other cafes and restaurants are within walking distance of the hotel. Hotel Finn is a cosy hotel with 28 rooms. The rooms are decorated according to the latest trends. The quiet rooms have a comfortable box spring that consists of two single beds for a good night's sleep. The private bathrooms are equipped with a rain shower and a toilet. 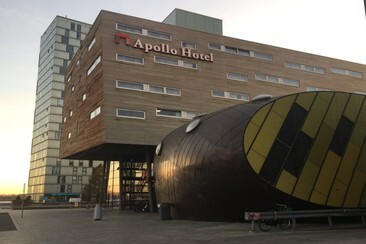 Apollo Hotel Almere City Centre is located in the heart of downtown, within walking distance of many shops, the theatre and diverse restaurants & cafes. Closely aligned in modern architecture and interior design, the hotel fits in well with the progressive, futuristic style of the city of Almere. There are 117 rooms with a modern bathroom, tea & coffee making facilities, a safe and a desk. Free WiFi is available throughout the hotel. Other facilities include a bar / lounge, a 24 hr reception, luggage storage and dry cleaning. Situated near the A6 motorway and close to the green area of Almeerderhout in Almere. This upscale hotel is 5 km from Golfclub Almeerderhout and 18 km from the Netherlands Fortress Museum. Top spots nearby to the property include Batavia Stad just 22.4 km away, a 7-minute drive from Almere Parkwijk and Almere Centrum Station providing quick train access to Amsterdam. The hotel's facilities include an inside pool, a large equipped fitness area and a wellness centre. The 17 multifunctional meeting rooms are equipped with modern conference and congress facilities. There is also a nice a la carte restaurant in the hotel, a cosy hotel bar, enough free parking space and free wi-fi in the whole hotel. The spacious rooms feature modern décor and come furnished with a seating area and a work desk. Each room offers coffee facilities, cable flat-screen TV and refrigerator. The bathroom has a separate bathtub and free toiletries. 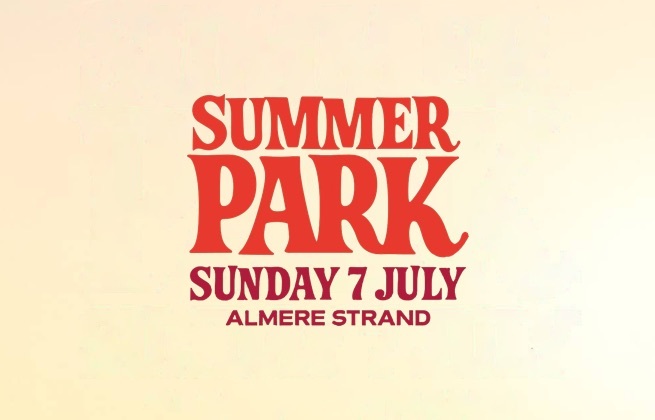 Summerpark Festival is a house, techno, and hip hop festival in Almere, The Netherlands. Located 20 minutes west of Amsterdam, the festival is a classic summertime day out of the city festival. Set on the beach with water on one side and forest on the other, Summerpark's scenic setting has four musical areas, visual arts, and food and drink stalls. Teaming up with some of the country's most prolific promoters to curate the lineup, the festival annually features national and international party-starting talent. The Almere Strand features a wide open space with scenic views of the Almere skyline. It is an ideal location for a classic outdoor festival.